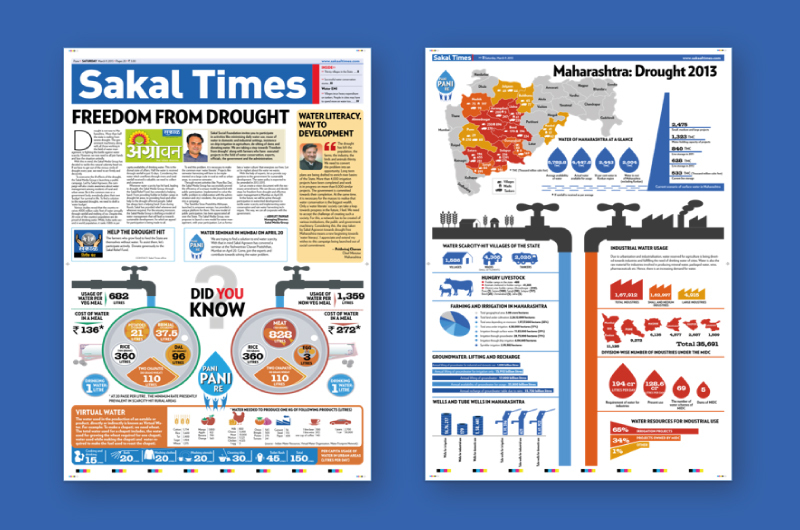 Draught issues in Maharashtra have become an annual occurrence. So much so that most of us have accepted it as something inevitable we cannot change. At Elephant, we believe in utilising our team’s expertise in design thinking to better the society and its people. Which is why we decided to collaborate with Sakal Media Group to work on a series of water themed issues. After decades of speaking about the water problem, Sakal felt the need to take it a step further and approached us to work on the project. We worked together extensively with Sakal team on researching the local water problems faced by cities and villages throughout Maharashtra. We soon realised that the challenges faced by people differed from area to area across the state. Instead of merely preaching about the problems, we worked with experts to create solutions which could be implemented through public participation. With a media giant like Sakal, we developed area specific communication strategies to focus on the local people. Alongside education and awareness, various calls-to-action were put forth. The public was incentivised and encouraged to take these up with examples of success stories from other places. The newspaper issues that spoke about the initiative had a specifically tailored look and carried extensive coverage. 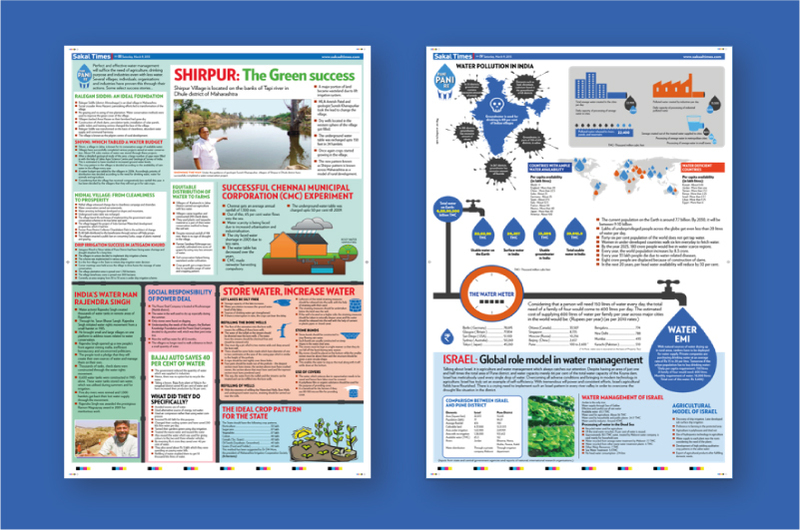 Vibrant and eye-catching graphics were used to put forth data and cities with successful water management campaigns were spoken about. By turning water scarcity and management into a personal and emotional issue, people were inspired to take up responsibility in their localities and make a difference to their quality of life.